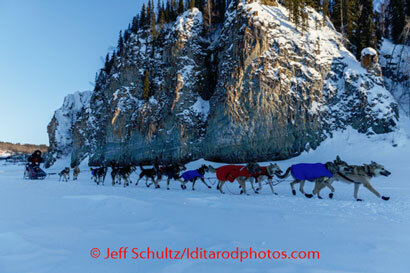 Today the leaders in the 2014 Iditarod mushed along the Yukon in -20F weather, slight wind but otherwise "nice". 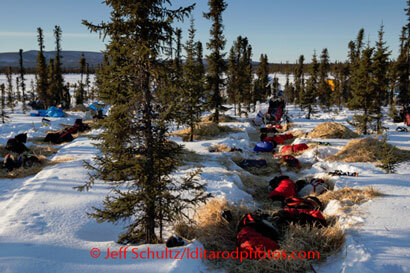 Each team's strategy has played out, and now the pack are all together for the final third of the race and the push into Nome. 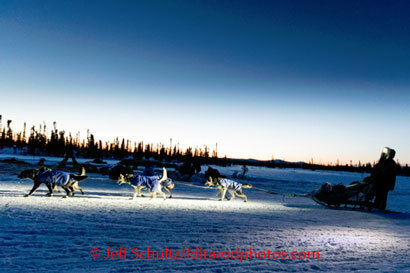 Martin Buser and Aliy Zirkle are running one two, in the small checkpoint city of Nulato, with Kaltag to go and then Unalakleet at the Bering Sea. They're closely followed by Nicolas Petit (where did he come from?) and Jeff King.